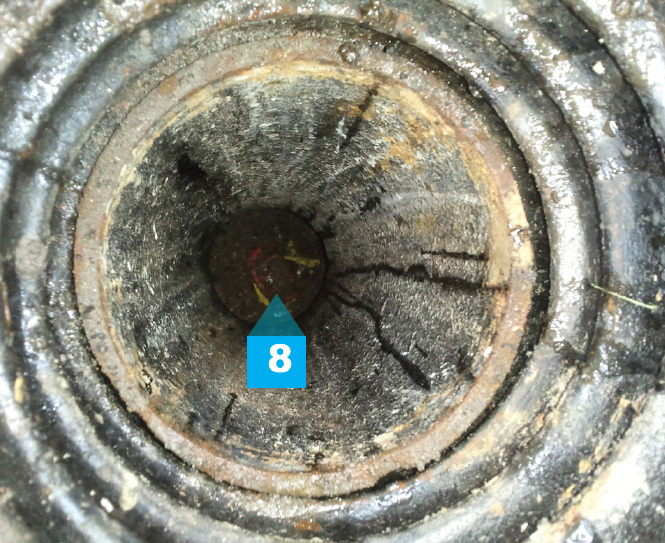 Tapping valve installed on water main. Stop box and meter vault are in landscaped area, and match finished grade. Utilities, street lights, foundations, fence lines, retaining walls, backflow prevention devices. 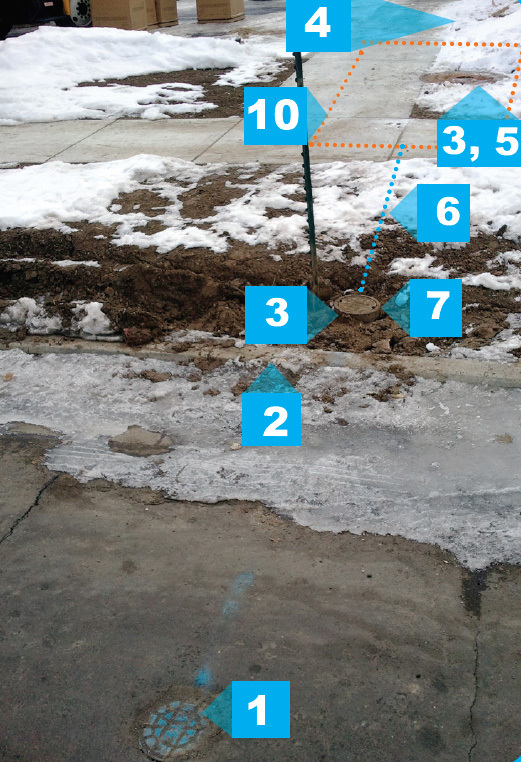 Plantings, shrubs and branches must remain 2 feet clear of the meter pit/vault lid. Single automated meter reading recess (turbine meters). Dual automated meter reading recesses (compound meters). 8 feet x 9 feet (3 inch, 4 inch, and 6 inch services). 8 feet x 13.5 feet (8 inch and larger services). Restraints are installed across bolted sleeve type couplings. Gate valves have wheel operators installed. 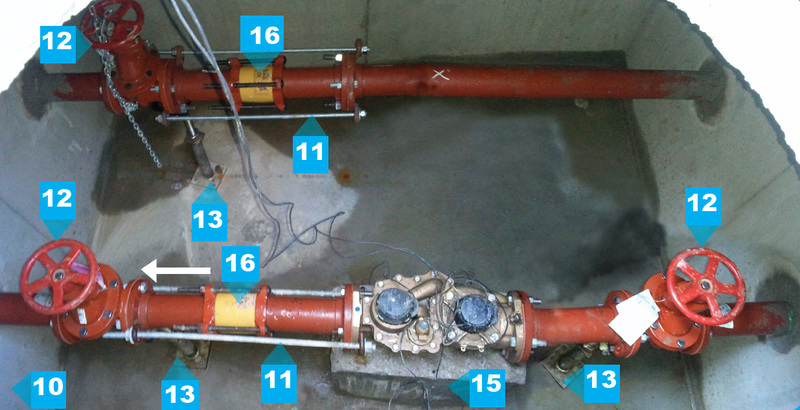 Gate valves are supported by steel pipe supports (Denver Water Engineering Standard Detail 24). Strainer (not pictured) is installed upstream of the meter (turbine meters only). 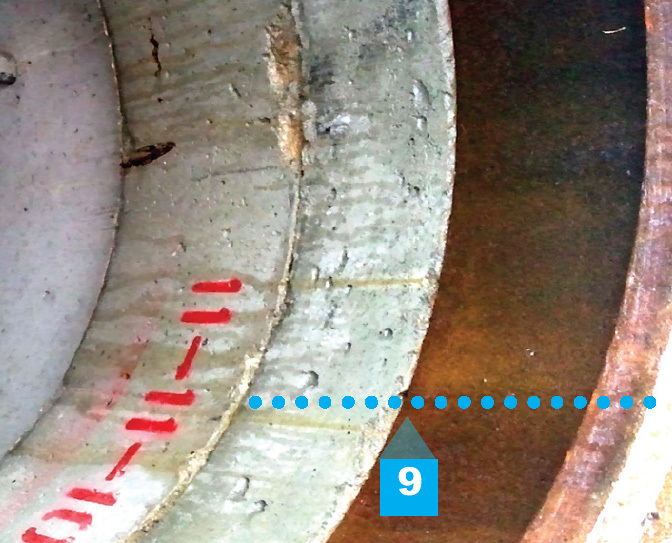 Concrete support block and shims support the meter flanges. No bypass pipe on irrigation meters.